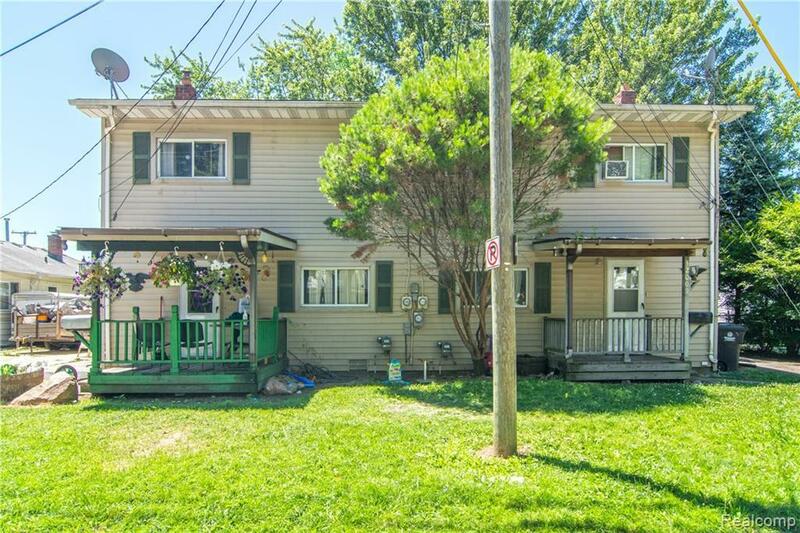 *** ATTENTION INVESTORS *** MULTI-FAMILY DUPLEX in Westland. Each unit contains 3 bedrooms, 1 bath, living room, kitchen, and laundry room. One unit has A/C and garage. Both units currently leased w/ separate utilities. Within walking distance of Jefferson-Barnes Elementary school. Moments from shopping complex that has a grocery store & other shops. 15 minutes from Metro Airport and local freeways. Needs some TLC. Buyer responsible to order City Inspection & C of O/Rental certificate. Being sold "AS IS"